Deep Relaxation Rejuvenate your body, mind and spirit. Deep Relaxation begins with the release of all tension. Soothing essential oils of Lavender, Chamomile, Orange Blossom and Melissa relieve daily stress and common anxiety. 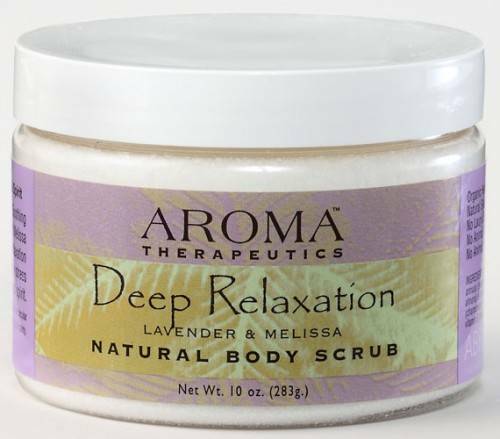 Enjoy a Deep Relaxation Aromatherapy Body Scrub whenever you feel overwhelmed by stress and responsibilities.